Over the last quarter, we released a number of new features and updates for the Enclave deployment platform. We also began helping customers deployed on AWS to manage their organization’s security and compliance using Gridiron. Yesterday, on a brief webinar, our team reviewed the updates to the Enclave platform and showed how Gridiron helps software developers build and maintain strong security management programs. In case you missed it, you can download the slide deck and get the transcript in our resources section, or watch the full event below. We also provide a quick recap in this blog post. We intend for Enclave to be the best platform for developers to deploy regulated and sensitive software products. This quarter, we focused on improving Enclave in three ways: security and compliance, database self-service, and general usability improvements. We launched new ways to secure apps and meet compliance goals while improving the security of Enclave itself. Self-serve database scaling is coming soon. The Aptible CLI now supports aptible db:reload, disk resizes are a lot faster, and we will launch self-service database scaling soon. 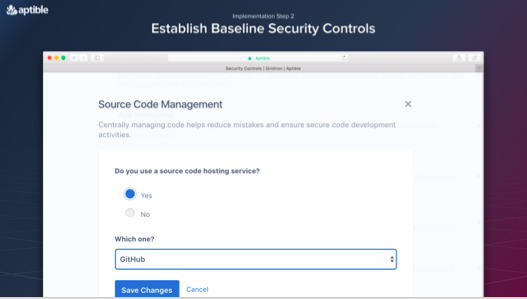 Gridiron is our suite of tools that helps developers build and maintain strong security management programs. Gridiron makes the administrative side of protecting data easy and helps to prepare you for regulatory audits as well as customer security reviews. In the webinar, we gave a short talk-through of how Gridiron approaches security management. 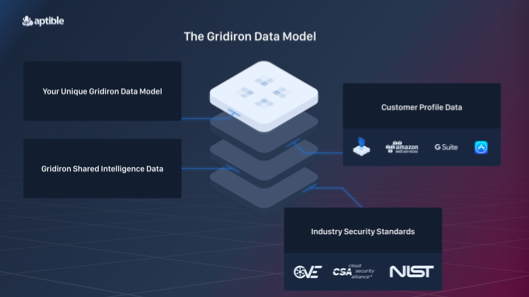 This starts with the Gridiron Data Model: an API that integrates data from your business, our experience working with hundreds of customers in securing sensitive data, and industry-wide security standards provided through NIST Guidance, vulnerability and attack databases and shared intel. Gridiron ingests data about your business through a series of straightforward and relevant questions that are easy to answer but have important implications for your internal security program. Gridiron uses that data to create deliverables that help you show security and compliance as well as improve your business operations. 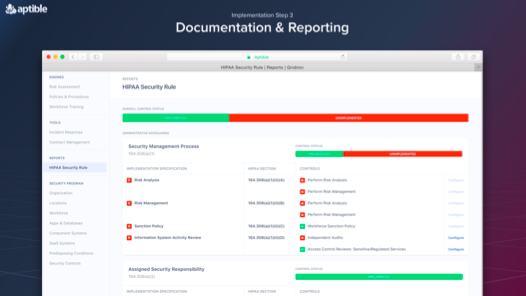 If you’d like to improve your organization’s security and compliance and simplify the process for working through customer security reviews and regulatory audits, please get in touch. For a limited time we’re offering early access pricing for customers who have deployed on AWS. Our next product update webinar will be hosted on July 25, 2017 at 11am Pacific / 2pm Eastern.